openSIS is a flexible SIS that can be used in any school in any country. 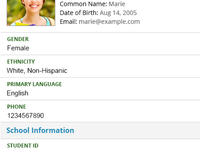 It accommodates most school's business processes out of the box. Can be customized to meet any specific functionality.